Neighborhood revitalization is a core value that we hold dear to. We strongly believe that good design and responsible development can vastly improve the quality of life for inner-city residents. We could not agree more to the statement made by the Chairman of the Roxbury Strategic Master Plan Oversight Committee, Darnell Williams, that inner city projects need to be commercially dynamic. It needs to more than mega-institutional projects. The vitality and energy of neighborhoods have to extend beyond the 9-5 schedule. We are confident that our proposal for a hotel, retail spaces and residential buildings will be crucial in providing the spark for neighborhood activities around the clock. 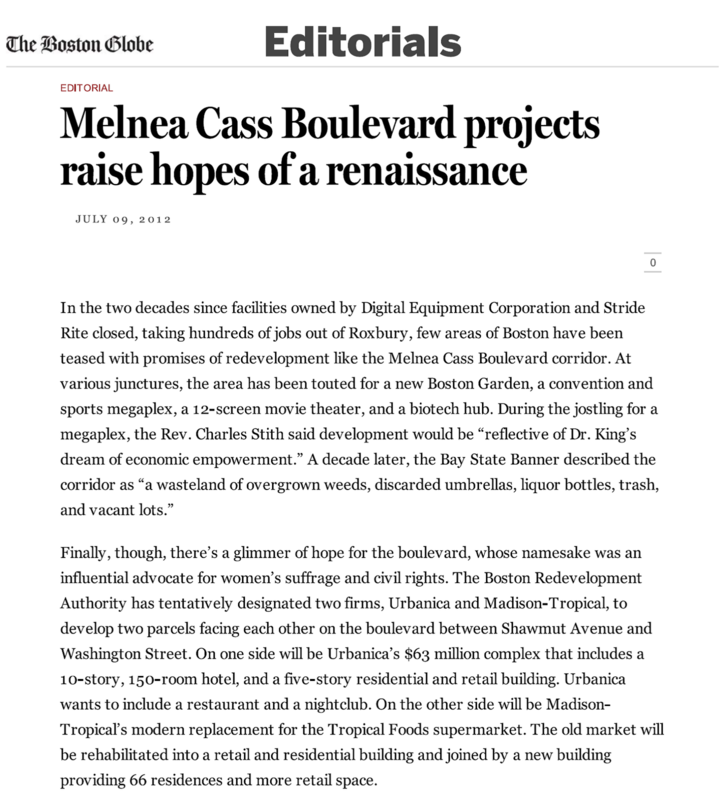 Without a doubt, the upcoming Melnea Cass Boulevard developments are signs of greater things to come for the Roxbury neighborhood.